Arsenal boss Unai Emery has hinted Denis Suarez could be involved against Manchester City on Sunday and discussed which positions he’ll play during his time at the club. Suarez completed an initial loan move to Arsenal on transfer deadline day with the club reportedly holding an option to make the deal permanent in the summer if things go according to plan. The 25-year-old took part in a light individual training session at London Colney on Thursday afternoon and trained together with his new team-mates this morning ahead of Sunday’s trip to City. Emery says he hasn’t decided whether Suarez will start yet but he’ll have full confidence in the midfielder if he does decide to throw him straight in to action at the Etihad Stadium. 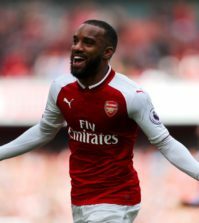 The Arsenal boss was also quizzed over where our new signing will play and Emery – who worked with Suarez at Sevilla – says the Spaniard is comfortable playing on either wing or through the middle as an attacking midfielder. “If he starts, I have confidence in him, I am thinking about all the players. He [Suarez] started to train yesterday [Wednesday] and today with the group. He has big character, he has the quality to play. “I think he is good. He adapts quickly and he is a player with quality. 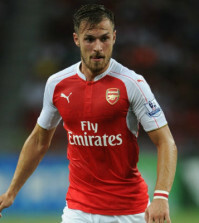 He can help us with his quality but also his ambition to do something important him. “It’s a good challenge for him to help us. He can speak English which is important. “He played at Manchester City when he was a young player. He played with Barcelona, in the Champions league with important players. His adaptation will be easier with us. I think it would be a huge risk to start Suarez against City and I don’t expect Emery to do it so the midfielder is likely to be named on the bench this weekend. He’ll be a useful player to have in the second half at the Etihad but I wonder whether Mesut Ozil will make the trip? 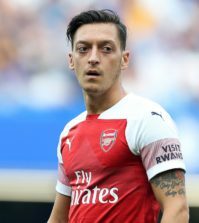 He’s been left out of several of Arsenal’s away games in recent months and now that we’ve got some added creativity in the squad with Suarez, maybe Emery will leave Mesut in north London on Sunday?